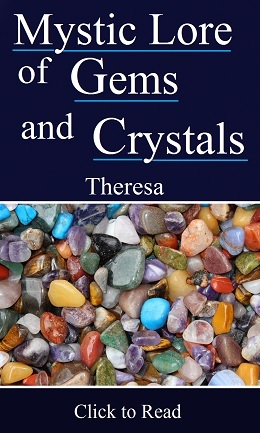 Pascal’s examination of human suffering and mayavic ideation is a decisive contribution to the “psychology of delusion”, which the theosophical movement must understand once and for all in the present century. 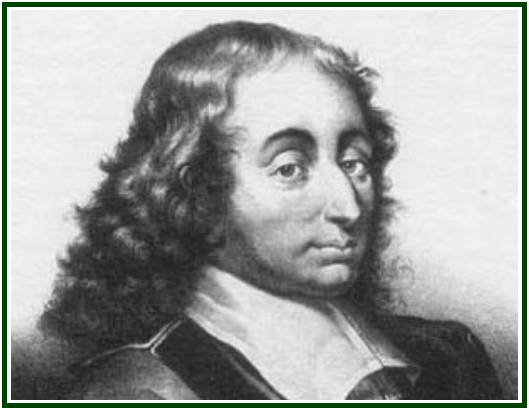 The following paragraphs are reproduced from the volume “Pensées”, by Blaise Pascal, Encyclopaedia Britannica, “Great Books of the Western World”, 1955, printed in the USA, 487 pp., see items 99 and 100, pp. 191-192. There is a universal and essential difference between the actions of the will  and all other actions. The will is one of the chief factors in belief, not that it creates belief, but because things are true or false according to the aspect in which we look at them. The will, which prefers one aspect to another, turns away the mind from considering the qualities of all that it does not like to see; and thus the mind, moving in accord with the will, stops to consider the aspect which it likes and so judges by what it sees. The nature of self-love and of this human Ego is to love self only and consider self only. But what will man do? He cannot prevent this object that he loves from being full of faults and wants. He wants to be great, and he sees himself small. He wants to be happy, and he sees himself miserable. He wants to be perfect, and he sees himself full of imperfections. He wants to be the object of love and esteem among men, and he sees that his faults merit only their hatred and contempt. This embarrassment in which he finds himself produces in him the most unrighteous and criminal passion that can be imagined; for he conceives mortal enmity against that truth which reproves him and which convinces him of his faults. 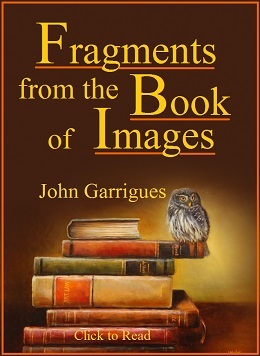 He would annihilate it, but, unable to destroy it in its essence, he destroys it as far as possible in his own knowledge and in that of others; that is to say, he devotes all his attention to hiding his faults both from others and from himself, and he cannot endure either that others should point them out to him, or that they should see them. Truly it is an evil to be full of faults; but it is a still greater evil to be full of them and to be unwilling to recognize them, since that is to add the further fault of a voluntary illusion. We do not like others to deceive us; we do not think it fair that they should be held in higher esteem by us than they deserve; it is not, then, fair that we should deceive them and should wish them to esteem us more highly than we deserve. Thus, when they discover only the imperfections and vices which we really have, it is plain they do us no wrong, since it is not they who cause them; they rather do us good, since they help us to free ourselves from an evil, namely, the ignorance of these imperfections. We ought not to be angry at their knowing our faults and despising us; it is but right that they should know us for what we are and should despise us, if we are contemptible. There are different degrees in this aversion to truth; but all may perhaps be said to have it in some degree, because it is inseparable from self-love. It is this false delicacy which makes those who are under the necessity of reproving others choose so many windings and middle courses to avoid offence. They must lessen our faults, appear to excuse them, intersperse praises and evidence of love and esteem. Despite all this, the medicine does not cease to be bitter to self-love. It takes as little as it can, always with disgust, and often with a secret spite against those who administer it. Hence it happens that, if any have some interest in being loved by us, they are averse to render us service which they know to be disagreeable. They treat us as we wish to be treated. We hate the truth, and they hide it from us. We desire flattery, and they flatter us. We like to be deceived, and they deceive us. So each degree of good fortune which raises us in the world removes us farther from truth, because we are most afraid of wounding those whose affection is most useful and whose dislike is most dangerous. A prince may be the byword of all Europe, and he alone will know nothing of it. I am not astonished. To tell the truth is useful to those to whom it is spoken, but disadvantageous to those who tell it, because it makes them disliked. Now those who live with princes  love their own interests more than that of the prince whom they serve; and so they take care not to confer on him a benefit so as to injure themselves. The evil is no doubt greater and more common among the higher classes; but the lower are not exempt from it, since there is always some advantage in making men love us. Human life is thus only a perpetual illusion; men deceive and flatter each other. No one speaks of us in our presence as he does of us in our absence. Human society is founded on mutual deceit; few friendships would endure if each knew what his friend said of him in his absence, although he then spoke in sincerity and without passion. Man is then, only disguise, falsehood, and hypocrisy, both in himself and in regard to others. He does not wish anyone to tell him the truth; he avoids telling it to others, and all these dispositions, so removed from justice and reason, have a natural root in his heart. 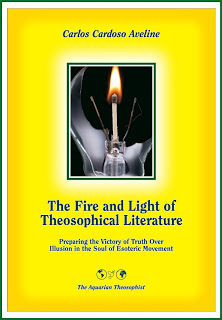 The above text was previously published in “The Aquarian Theosophist”, June 2012 edition.